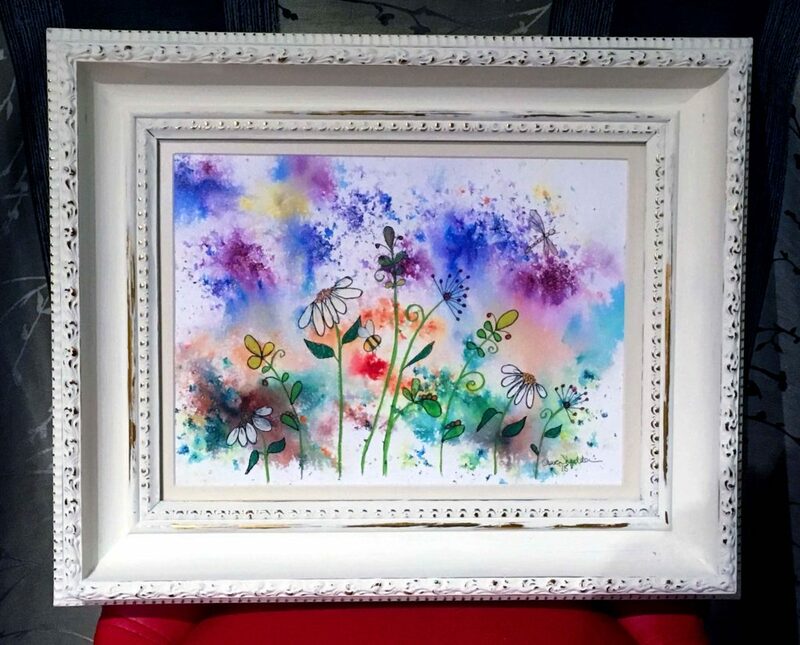 Hello, I am Clare Wheeldon and I have been using Derwent Inktense blocks and pencils to create contemporary floral paintings that are bright and vibrant. I will be at John Lewis store in Nottingham on the evening of the 28th of March demonstrating my technique to paint directly onto fabric lamp shades, wooden tea light holders and lamp bases. I have always enjoyed art and being creative; having no formal training, five years ago I joined a local art group to further develop my style. After seeing Derwent Inktense blocks being demonstrated at Patchings Art festival, I was hooked! My way of working is very simple: I started experimenting with creating different backgrounds using natural shades and then moved onto including more vibrant colours. I use colours inspired in nature to create a free formed abstract background to suggest skies and landscapes which gives my paintings depth and movement. 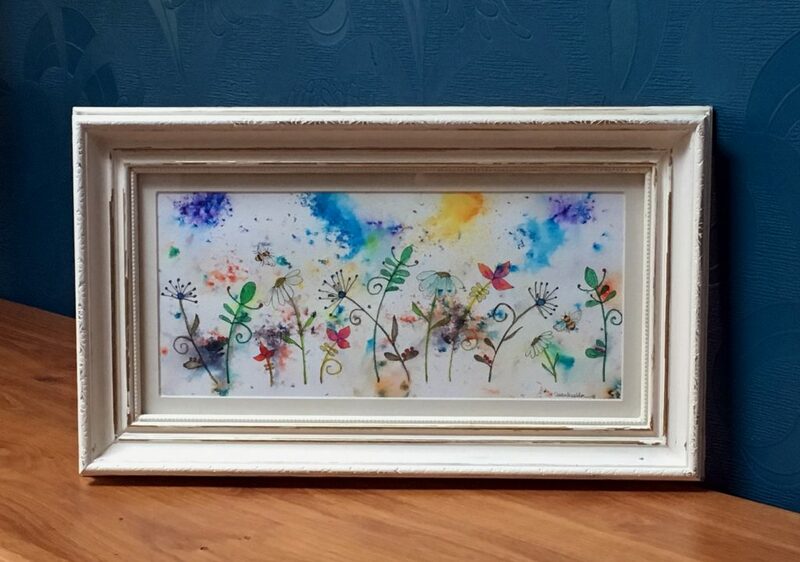 I then use Inktense pencils to create flowers in vibrant colours. Just recently I have started to include small, flying insects enhancing the feeling of movement through gentle breezes – drawing the eye around the painting. Coincidentally, my husband is a furniture maker. So, I have even used Inktense to paint my designs directly onto wooden lamp bases and tea light holders. Once the paint has fully dried a light coat of varnish can be applied. 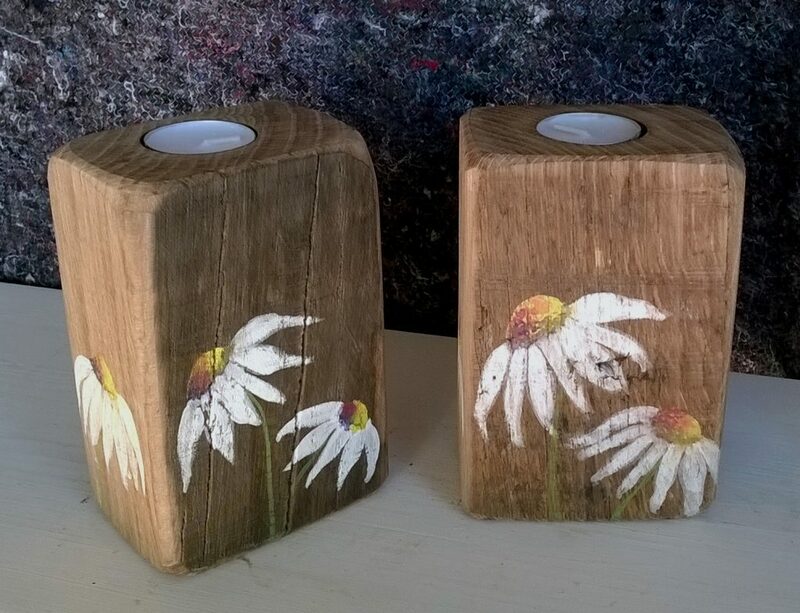 I then decided to try to paint my designs directly onto natural fabric lamp shades to compliment my work on wood, using Inktense blocks and pencils, and was pleased with the results. I use Inktense blocks and pencils to form the centre of daisies; I use sun yellow, tangerine, leaf green, shiraz and violet in the centre. Once this has dried I then dip the tip of the pencil into water and dot intense colour to form texture. While the centres are still wet with a clean wet brush drag some of the colours down into the white petals. Want to see Clare Wheeldon in action? She’ll be displaying the Derwent Inktense range and her artwork at John Lewis Nottingham on Thursday 28th March between 4pm and 9pm.